Do You Owe More on Your Home than Market Value? Do you owe more on your Home than it's "Market Value" ? If you do, the common REAL ESTATE terminology is that your home is UNDERWATER, UPSIDE DOWN or the property is in DISTRESS. 1) Pay the Mortgage as Normal this a "to do" even though you owe more on your home than what it’s actually worth….. After all, more-than-likely you bought the house to be your home, not just an investment. So if you can afford it, keep paying the mortgage. If your interest rate is too high, think about refinancing and take advantage of today’s historically low interest rates. Chances are the value of your home will go up again at some point. Then at that point if you feel you want to sell, it would be my pleasure to represent you as your listing agent. 2) Loan Modification – Renegotiate with your lender : If you have had a little setback financially and had to miss a couple of mortgage payments, today’s lenders are often much more willing to renegotiate your mortgage payments than they have been in the past. With foreclosures: Lenders/banks are sitting on unsold houses that the banks cannot afford to be holding on to and more-than-likely prefer not to have yours either. So if possible, renegotiate your terms with your lender so that you will be able to stay in your house. 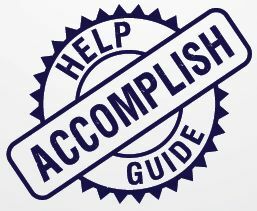 The desired end result should reflect a monthly mortgage payment that is more affordable to the borrower and that is also acceptable to the lender as an alternative to the high cost to the Lender/bank of foreclosing on a home. Note about SHORT Sales; The home owner need not be in default for a lender to consider a Short Sale. For example :a Corporate job relocation, personal issues such as a divorce or illness and/or loss of employment may put you in a situation where you need to sell. This seller may be current in payments, unfortunately the home value has fallen. Another situation could also be that the homeowner may have taken an Equity loan (2nd) when home values were much higher. Therefore when home values take a dip, the principal owed plus the Equity loan have possibly put the homeowner/borrower in an situation where they owe more than the market value of the house. These just mentioned "need to sell" scenarios definitely fall in the category of a SHORT SALE. ..... If you need to Short Sell your home or investment property, it would be my pleasure to represent you as your listing agent. 5) Foreclosure : is the legal process by which a borrower in default is deprived of their interest in their property. The right of home ownership goes back to the lender. The first missed payment is technically placing the property in default. But in practical terms, most lenders do not begin the Foreclosure process until the 3rd payment is missed. A Notice of Default will be served. There are reparations a borrower is entitled to. But if reparations fail and the sale of the home is not done within a given time frame allowed by bank/lender.....what follows is a forced sale at public auction with proceeds being applied to the debt. 6) Bankruptcy : By filing in Federal Bankruptcy Court, an individual or individuals can restructure and/or relieve themselves of debts and liabilities. NOTE : Most all options above will have a negative impact on your personal credit rating. Make sure you seek Legal Counsel and your Tax Consultant on issues as to which option you choose to follow. 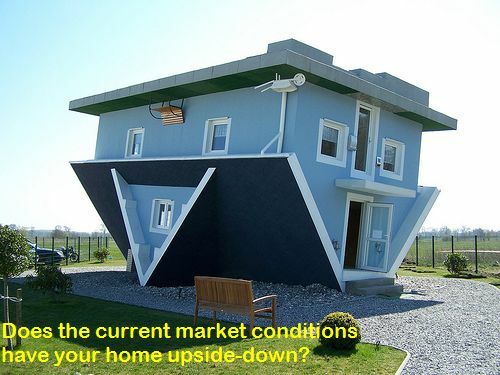 Make it a point to contact me, I offer you a no cost consultation about what a homeowner should know and consider with this issue of your Home Loan being UNDERWATER or UPSIDE DOWN . As mentioned above: ...contact me and it would be my pleasure to consult you. In doing so, you therefore have just taken the initial step to relieving you of any brought upon duress and making you whole again. Contact me anytime, I am always available to answer any immediate questions you may have. 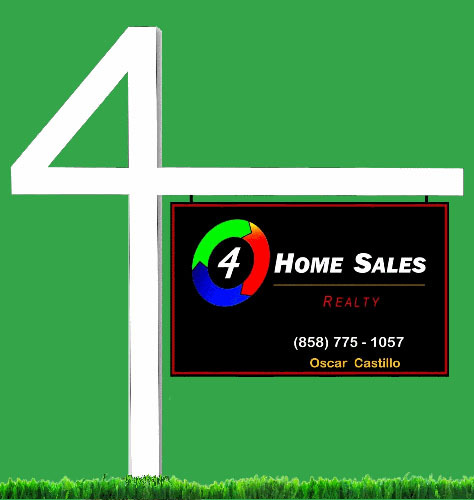 Fill out the fields below, call, text or send me an email Oscar@OscarSellsHomes.com . Either way I will be notified immediately and we will take it from there.